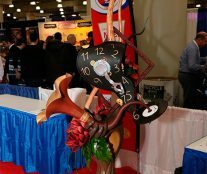 The 28th edition of the US Pastry Competition will be remembered as the year of change. This year has been a turning point for a competition that had begun to give signs of a certain decline, and now resurfaces with vigor to face a promising future. What has happened to reverse the trend? 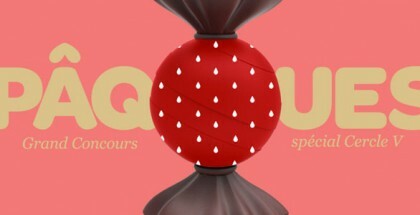 It is something as simple as a deep revision of the regulation, an update, and a decisive gamble on chocolate. 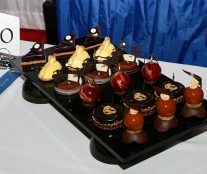 Candidates still have to submit an artistic piece, but it is no longer mandatory that it be composed of 50 percent sugar or caramel, but now it must be made entirely in chocolate. Also, there are no more cakes, no bonbons, no plated desserts. 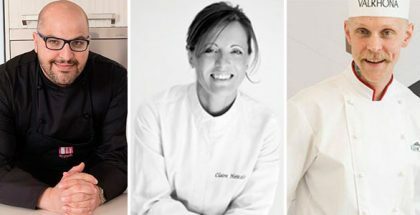 Now the participants have to present a total of 6 types of individual cakes with chocolate as the protagonist, this time under the theme “Modern Masters come to Chocolate”. 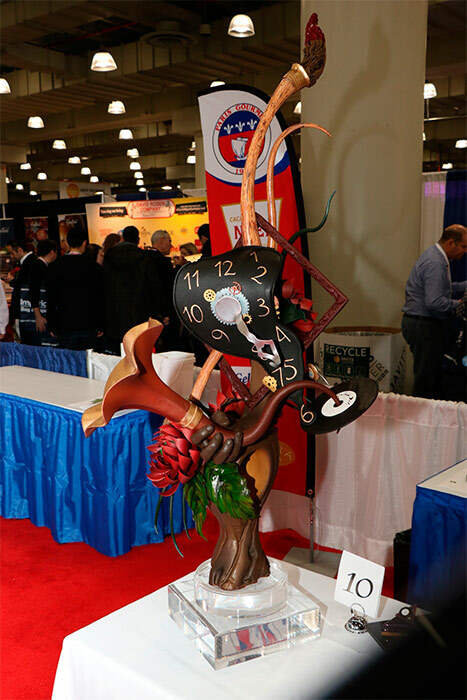 John Cook, Pastry chef of Norman Love, who already won second place in 2015, is the undisputed winner of this renewed edition, thanks to meticulous and very detailed work inspired by the art of Salvador Dalí. The level of perfection, finish, and maximum care even in the smallest detail made the work of chef Cook look as if it were jewelry. 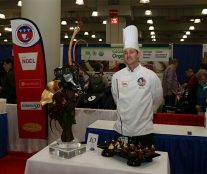 We will keep an eye on the promising steps of this young chef based in Miami. 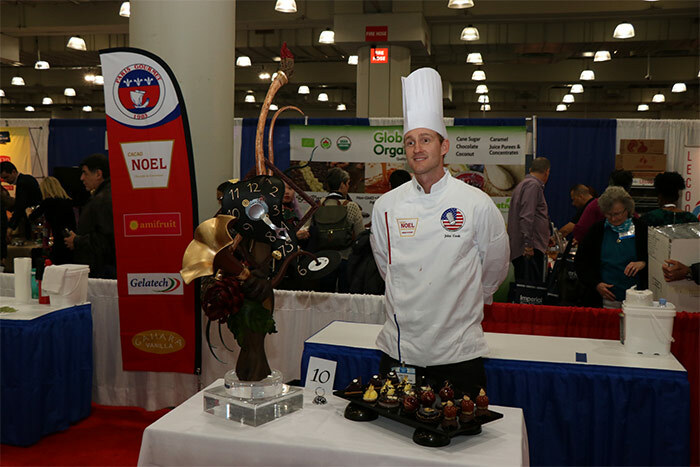 Richie Pratadaja, from FIKA Coffee in NYC, got second place and Manuel Bouillet from Barry Callebaut Chicago completed the podium. 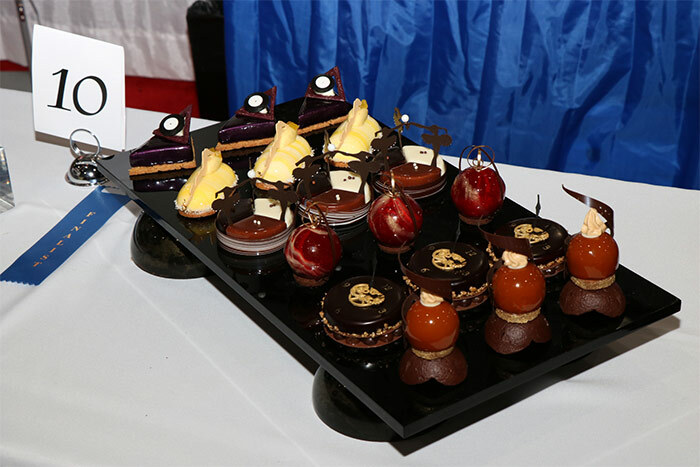 Our sincere congratulations to all the participants for the effort and the meritorious work exhibited, and to Paris Gourmet, organizer of the event, for renewing and bolstering this great celebration of American pastry.